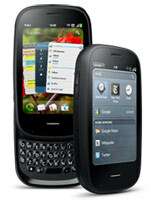 Palm is finally taking the logical but long-delayed step in offered a fully unlocked WebOS device to developers. An upcoming UMTS/GSM version of the Pre 2 will be sold unlocked to developers in the United States only in the coming months. Qualified developers will be able to purchase the unlocked Pre 2 at a discounted price, according to Palm's updated developer page. While no exact price or release date have been announced, "soon" seems to be as safe of a bet as any. At any rate, this should be a nice improvement for devs seeking a flexible piece of WebOS hardware, unlike Palm's earlier and much-maligned carrier locked developer phone efforts from this past spring. The full details are available from Palm here.